Faye Rominger Norman, 73, of Reidsville, went to be with the Lord, Wednesday February 13, 2019 at Annie Penn Hospital. Funeral services will be conducted 2:00 P.M. Friday February 15, 2019 in Citty Funeral Home Chapel. Burial will be in Evergreen Memory Gardens. A native of Forsyth County, she was a daughter of the late Julius and Hazel Kiser Rominger and had lived in Rockingham County since 1967. She was a former employee of the housekeeping department of Annie Penn Hospital and Maplewood Nursing Center. 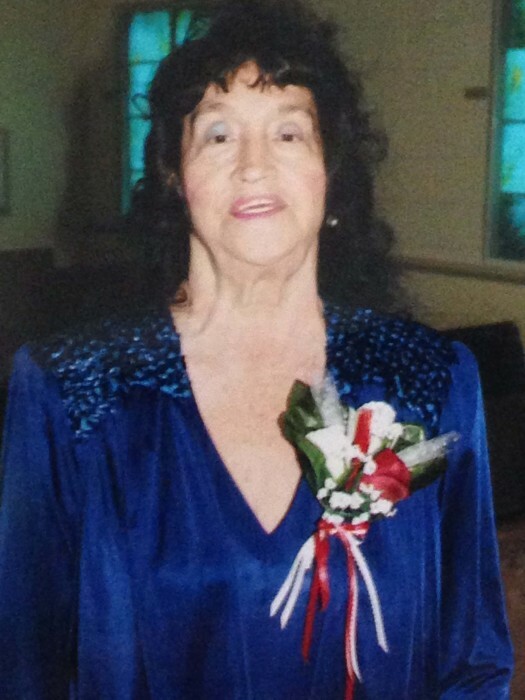 She loved flowers and angel figurines, country and bluegrass music and she enjoyed shopping and yard sales. Survivors include her husband Larry Norman of the home, sons Randall Norman (Lisa) and Adam Norman (Heather) both of Reidsville, daughters Sheila Darrity (Pete) of Randleman, Priscilla Easter and Sandy Lankford (Danny) both of Reidsville, and Tonia Norman of Stokesdale, sixteen grandchildren, eleven great grandchildren.